Cosmetic Gum Lifting – is a predictable and easy way to correct “gummy smile” and make your smile more attractive. A gum lift or gingivectomy is a procedure that can be done by a dentist to reshape the gums to provide a more pleasing smile. Gums are reshaped for numerous reasons: some people have gums that have not receded after the permanent tooth erupts, while others have lips that allow a lot of gum to show when a person smile. In some cases, gums can recede over time and expose more of the tooth surface than is desired. Having a “gummy” smile can cause a person to be very self-conscious about their appearance. Getting a gum lifting is the same as getting a face lift if a person is not happy with their wrinkles or saggy eyelids; it is simply a cosmetic procedure to improve the appearance and thus, the self-confidence. Gum lifts are normally only done on the front teeth as these are the ones that are most visible when a person smiles. In the past, a gum lift was a painful dentistry treatment. It involved cutting the gums, stitches and weeks of recovery. Now, it can be done with the use of lasers where recovery is minimal. Patients usually only require over the counter pain relievers for a day or two following the procedure, and can eat and drink normally within a day. To begin, dentists administer a local anesthesia where they then cut and reshape the gum line to make it more even and visually appealing. The use of lasers automatically seals off blood vessels so there is little or no bleeding. The procedure is quick. The gums can be lowered or raised, depending on the need. Gum lifting is especially helpful when a patient is also getting other cosmetic dentistry work done. 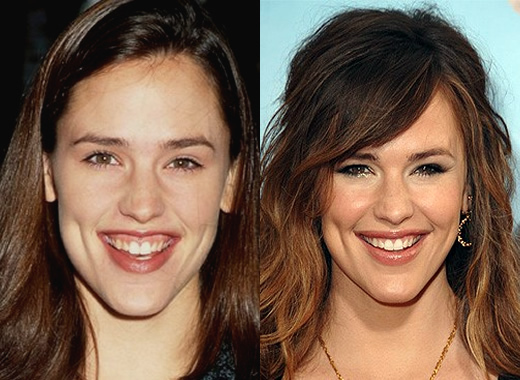 It is more visually appealing to have even gums when veneers are being applied, for instance. It is important to follow the instructions that the dentist gives a patient after the procedure is completed. Not taking care of the area can lead to infection. Follow-up visits to the dentist are equally important to keep that beautiful smile, too! It is important to choose the dentist carefully. They need to have experience with the procedure to do it correctly. There is no substitute for an inexperienced cosmetic dentist when it comes to getting a gum lift. It is very important not to remove too much of the gum, as this can expose areas of the tooth that are supposed to be below the gum line. When done by an experienced professional, a gum lift can make a huge difference in the appearance, giving the patient a truly beautiful and winning smile.